Welcome to the final installment of Open Paddock’s Lake Superior Performance Rally Driver Previews. Today we are talking about the top tomatos – Open Class. In case you missed our 2WD class preview click here, or if you missed the Super Production preview click here. You need to ask yourself one question before you start to actively follow LSPR today. Do you know who the guys in those pretty painted cars are? If you answered no to that question please keep reading. If you answered yes keep reading anyway, hubris a bad thing and you might learn a few things. Open class cars are top dogs in American rally. They’re the race winners and record setters. They’re the names that you probably know – David Higgins, Ken Block, Travis Pastrana. Sounds exciting right? That’s why you should follow LSPR from home! The best place for up to the minute updates is the Rally America and LSPR twitter accounts. A full stage schedule for the weekend is available in the LSPR spectator guide. The first perfect season in American rally since the legendary John Buffam’s in 1987. That is what is at stake for David Higgins and Craig Drew at LSPR. 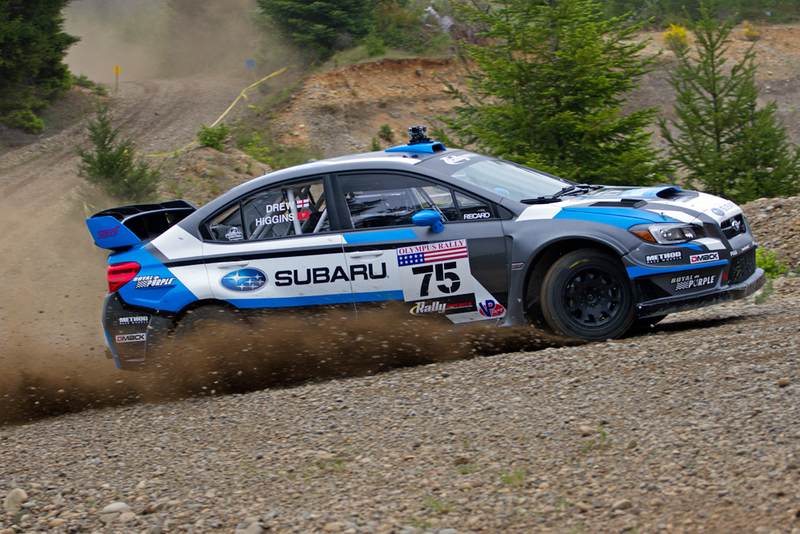 The factory Subaru drivers have simply dominated this season, there’s no other way to say it. 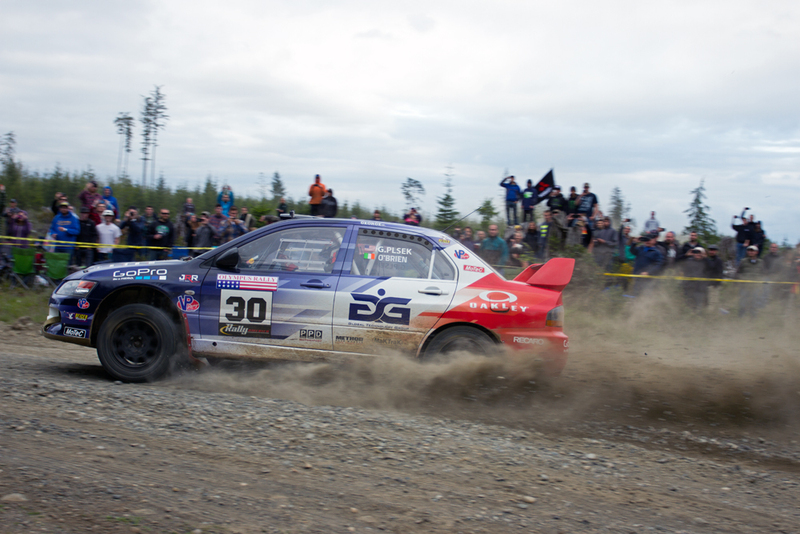 On the way to securing their fifth Rally America National Championship title, Higgins and Drew often won events by minutes. Only once were the pair not in possession of first place, the first three stages of Ojibwe. Even Ken Block and Alex Gelsomino, the usual spoiler for Higgins and Drew, couldn’t touch the supreme Subaru at NEFR. They’ve been that fast in the new for 2015 car. There honestly isn’t much more to say besides this, unless something very dramatic happens Higgins and Drew will add one more amazing accomplishment to their page in the record books. 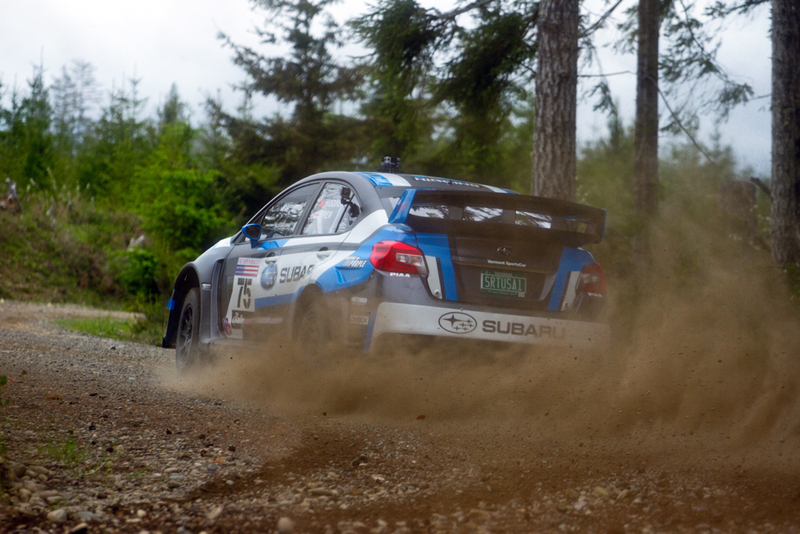 Season long competitors, FY Racing’s Adam Yeoman and Jordan Schulze have been the principal competition to Subaru Rally Team USA in Rally America this year. Strong competitors, the FY Racing pair are often considered to be one of the fastest privateer Subaru teams in the world. Their speed has come at a cost though, that cost being reliability. 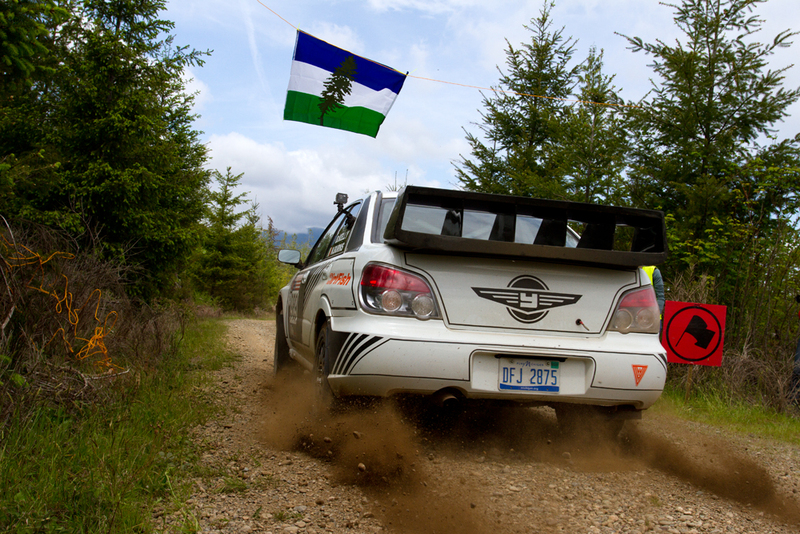 Yeoman and Schulze have only finished three rallies this year, Oregon Trail, Olympus, and STPR. For those keeping track at home, Yeoman and Schulze have not finished a rally since June due, mostly, to various mechanical troubles. Yeoman and Schulze’s main goal this weekend will be to finish, no matter the position. A strong close to a shaky season is the type of confidence booster that FY Racing will need going into the off season. A dark horse, Piotr Fetela is often overlooked when it comes to Rally America competition, though not by his fans. 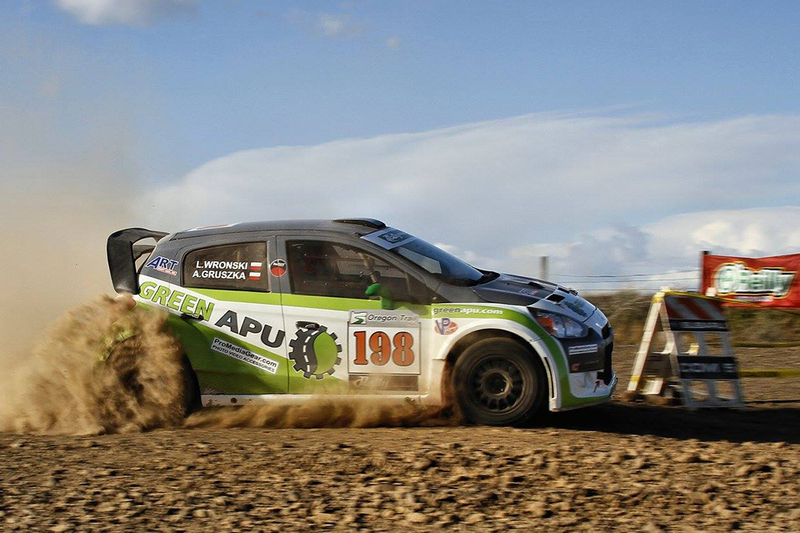 The polish rally driver is a tenacious competitor and, more often than not, an overall top 5 finisher. His co-driver John Hall is highly experienced, though mostly in the slower 2WD and Super Production classes. The pair first teamed up for this season’s west coast events before taking a break. Fetela and Hall were reunited at Ojibwe, where they finished fifth overall despite severe engine troubles. In spite of their 1998 Subaru only firing on three cylinders, Fetela and Hall turned impressive stage times. An impressive drive that served to showcase the skill Fetela has been developing throughout the season. At LSPR the pair will be looking to showcase that same talent in a fully functioning car. Fetela and Hall will need everything they have this weekend. The pair will be facing significantly stiffer competition at LSPR than they did in Minnesota. Brenten Kelly is the definition of a team player. Always in the FY Racing paddock, Kelly finds ways to help his team even if he isn’t competing. He also happens to be a talented driver. The Dirtfish instructor impressed early in the season, but was forced to take a National competition hiatus between Olympus and Ojibwe this year. During that time he working the FY pits and competed in several regional rallies, earning a win at the inaugural Summer Sno*Drift. 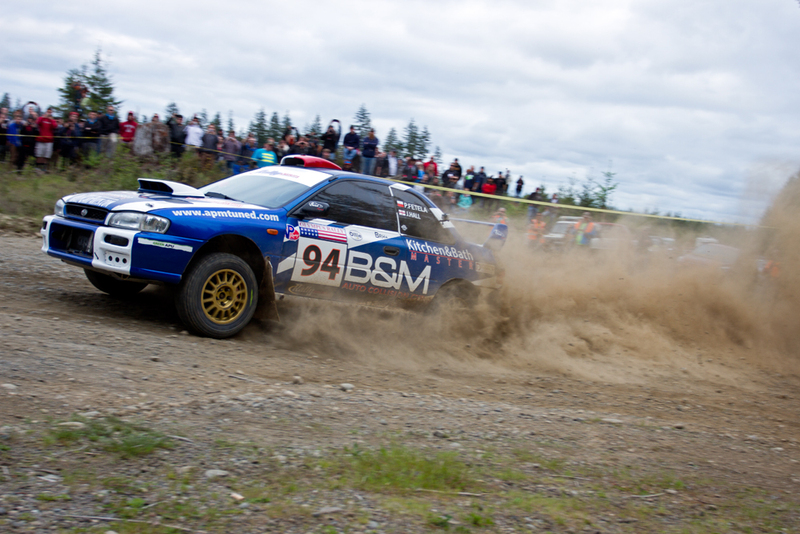 His co-driver Niall Burns is still somewhat new to Rally America competition but has shown great promise, earning a second place finish with Garry Gill at NEFR. 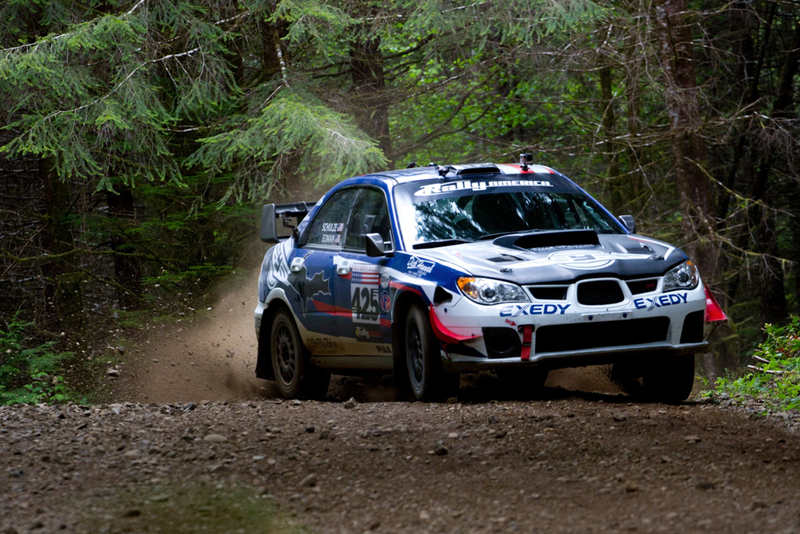 The pair were reunited at Ojibwe, Kelly’s first National round since Olympus Rally in May. Ojibwe proved to be disastrous for the team. After early mechanical troubles the pair’s pace wasn’t there, something was clearly wrong with Kelly. He soon fell ill and the pair were forced to retire from the rally. Kelly and Burns will be looking to not only finish LSPR, but finish well. The pair need to prove that their success early in the season wasn’t a fluke, that they can continue to drive well in high competition. They will be looking for a top five overall finish, at the minimum. Now this is an interesting team-up. Plsek, the skilled driver who has shown talent on many occasions, and Richard, the 2010 Rally America National co-driver champion. Both are highly experienced, though neither driver has spent much time with Rally America this season. Plsek has competed in just two rallies this year, Oregon Trail and Olympus. He did reasonably well at both events, finishing as high as third overall at OTR. Those events were six months ago, however. Richard has only competed once with Rally America this year, July’s Battle of the Titans at NEFR. She was one of the Titans along with Ramana Lagemann in an M-Sport Fiesta R5. Richard finished eighth at NEFR after being forced to Super Rally. How these two will get along in the car is anyone’s guess, though we recommend keeping an eye on them. Quite possibly the most interesting car on the grid, Art Gruszka’s Frankenstein Mitsubishi always turns heads. Introduced earlier this year at the Oregon Trail Rally, Gruszka’s monster is an Evo X driveline shoved into the body of a Mitsubishi Mirage. Like most monsters, the car is loud, bright green, and doesn’t obey humans. Teething problems have plagued Gruszka and Wronski throughout the year, mostly related to engine management and power delivery. The car has only cooperated on a few occasions for short periods of time. Gruszka and Wronski’s speed during those periods has been promising, but they have been short. We’re excited to see how this pair perform should the car function as intended. Chances are that it won’t, but we would love to be proven wrong on that guess.